As I approach the end of my month in Canada I’m feeling like I know less than when I left home, in spite of a good many hours spent in the archives and in conversation with knowledgable people. It’s a feeling that’s been growing over the past few days, and in the end I think my problem is that while I’ve done all that reading and talking I’ve formed new questions and uncovered complexities that I haven’t yet untangled in my mind. At the centre of this niggling uncertainty is something that the Canadians themselves don’t seem to get quite right – the story of Chinese Canadian citizenship. Prior to 1947, anyone born in the United Kingdom or another Commonwealth country, which included Canada, was designated as British subjects. A person received the rights and privileges as a British citizen even if he or she had migrated to Canada. However, not only were Chinese immigrants not considered British citizens, even Canadian-born Chinese were categorized as aliens. Such Chinese could become British subjects only through naturalization. Only on rare occasions could naturalization laws be appealed by a judge if he or she decided that the petitioner would make a good citizen. Although some well-established, successful Chinese businessmen did become naturalized British subjects, the majority of Chinese could not. 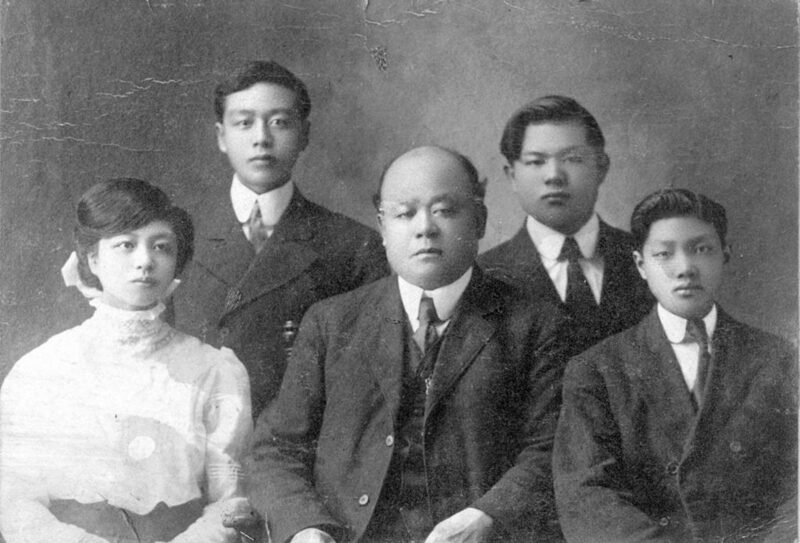 Things changed when peoples of Chinese and Indian descent won the franchise in British Columbia and the Japanese Canadian community established the pan-Canadian National Association of Japanese Canadian Citizens Associations. The Canadian Citizenship Act, which came into force on January 1, 1947 was the first naturalization statute to introduce Canadian citizenship as an entity independent from British subject status. As the Canadian citizenship act also came into effect in 1947, anti-Asian measures such as the 1923 Chinese Exclusion Act, the 1885 Chinese Head Tax, and the Continuous Journey Act were overturned. While this question of ‘Chinese Canadian citizenship’ is a bit tangential to my exact project at hand – a study of the naturalisation of Chinese in BC to about 1915 – it relates to broader questions about the place of nationality and citizenship in the history of Chinese restriction or exclusion in the British settler colonies. And it relates to my interest in how Australia’s discriminatory laws of the White Australia period impinged on the rights of Chinese Australians, especially Australian-born British subjects of Chinese descent. Something that I’ve heard a number of time while I’ve been in Canada is that the Chinese did not get Canadian citizenship until 1947, the implication being that this was another example of the discrimination they faced, including the head tax, immigration restriction (exclusion) and disenfranchisement. 1947 was the year that the Canadian Citizenship Act came into force. It was then that the legal status of Canadian citizen was created – before then the Canadian-born were British subjects, as in Australia. With the beginning of Canadian citizenship, there was a national conversation about race and citizenship. In the first months of 1947, there were extensive debates in the House of Commons about the racial and ethnic identity of Canadian citizens. These conversations led directly to the repeal of the Chinese Immigration Act in May, 1947, and an end to the era of exclusion. It’s also stated that the first Canadian citizenship ceremony of Chinese was held in Vancouver in 1947. I know that British subject status was a different thing from Canadian citizenship, but what’s puzzling me is the almost complete absence of discussion of how before 1947 Chinese born in Canada were British subjects under common law, just like their white counterparts (for definitions see, for example, the Immigration Act 1910 and Naturalization Act 1914). And that Chinese migrants to British Columbia could be and were naturalised as British subjects from as early as the 1860s – my initial research suggests that up to 1000 Chinese were naturalised in British Columbia before 1915, and around 400 more were naturalised in Canada as a whole between 1915 and 1951. I’m not far enough into my research to know whether Canadian-born Chinese or naturalised Chinese in BC argued their equal status as British subjects, as some in Australia did, to push back against racially discriminatory treatment. Perhaps they didn’t, and perhaps that’s why it’s not discussed much today. But if not, why not? And if British nationality was of no perceivable benefit in the face of discrimination, why did those hundreds of men choose to become naturalised?